Satisfy your inner culture vulture at Christchurch Cathedral and International Antarctic Centre. Get outdoors at Sumner Beach (Cave Rock) and Orana Wildlife Park. Explore the numerous day-trip ideas around Christchurch: Akaroa (Dolphin & Whale Watching & The Garden at French Farm). 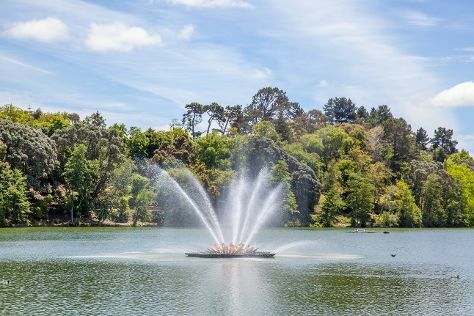 There's lots more to do: admire the natural beauty at Christchurch Botanic Gardens, get engrossed in the history at Canterbury Museum, let the kids burn off some steam at Margaret Mahy Family Playground, and appreciate the history behind Canterbury Earthquake National Memorial. To find other places to visit, maps, photos, and more tourist information, go to the Christchurch route builder . Ho Chi Minh City, Vietnam to Christchurch is an approximately 16-hour flight. Traveling from Ho Chi Minh City to Christchurch, you'll lose 5 hours due to the time zone difference. In January, Christchurch is slightly colder than Ho Chi Minh City - with highs of 26°C and lows of 13°C. Wrap up your sightseeing on the 16th (Wed) to allow time to drive to Dunedin. Start off your visit on the 17th (Thu): explore the historical opulence of Larnach Castle & Gardens, then explore the striking landscape at Otago Peninsula, and then enjoy the sand and surf at St Clair Beach. Get ready for a full day of sightseeing on the 18th (Fri): examine the collection at Toitu Otago Settlers Museum, then enjoy the sand and surf at Aramoana Beach, and then stroll through Waikouaiti Beach. To find traveler tips, reviews, and more tourist information, read our Dunedin trip tool . Traveling by car from Christchurch to Dunedin takes 4.5 hours. Alternatively, you can do a combination of flight and bus; or take a bus. Finish up your sightseeing early on the 19th (Sat) so you can go by car to Queenstown. Get some cultural insight at Peregrine Wines and Silver Fern Gallery. Visiting Hollyford Track and River Rafting & Tubing will get you outdoors. And it doesn't end there: get the adrenaline pumping with an extreme tour, whizz through the canopy at some of the top local zipline courses and adventure parks, and soothe aching muscles at some of the top local wellness centers. To find ratings, reviews, where to stay, and other tourist information, read Queenstown trip itinerary builder tool . Traveling by car from Dunedin to Queenstown takes 3.5 hours. Alternatively, you can take a bus. Finish your sightseeing early on the 21st (Mon) to allow enough time to drive to Dunedin. On the 22nd (Tue), steep yourself in history at Larnach Castle & Gardens, explore the striking landscape at Otago Peninsula, and then enjoy the sand and surf at St Clair Beach. Get ready for a full day of sightseeing on the 23rd (Wed): examine the collection at Toitu Otago Settlers Museum, enjoy the sand and surf at Aramoana Beach, and then enjoy the sand and surf at Waikouaiti Beach. To see ratings, where to stay, reviews, and other tourist information, read Dunedin journey planner . Drive from Queenstown to Dunedin in 3.5 hours. Alternatively, you can take a bus. Wrap up your sightseeing on the 23rd (Wed) to allow time to travel to Wellington. Wellington Cable Car and Old St Paul's will appeal to history buffs. Step out of the city life by going to Oriental Bay and Marlborough Sounds. Explore the numerous day-trip ideas around Wellington: Omaka Aviation Heritage Centre (in Blenheim) and Queen Charlotte Track (in Picton). 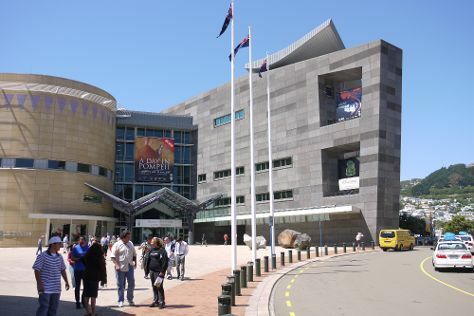 There's much more to do: examine the collection at Museum of New Zealand (Te Papa Tongarewa), snap pictures at City to Sea Bridge, and identify plant and animal life at ZEALANDIA Sanctuary. To see maps, more things to do, other places to visit, and other tourist information, use the Wellington driving holiday planner. Traveling by combination of bus and flight from Dunedin to Wellington takes 4.5 hours. Alternatively, you can do a combination of bus and flight; or do a combination of car and ferry. In January, plan for daily highs up to 24°C, and evening lows to 17°C. Finish your sightseeing early on the 27th (Sun) to allow enough time to travel to Auckland Central. 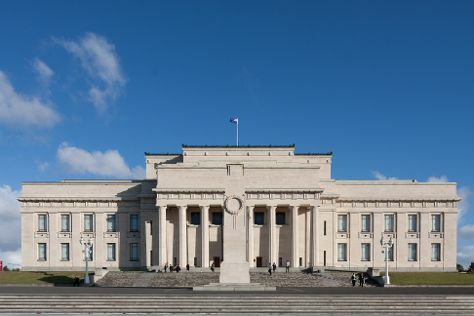 Start off your visit on the 28th (Mon): get impressive views of Mount Eden and then brush up on your military savvy at Auckland Museum. To find photos, traveler tips, maps, and tourist information, read our Auckland Central journey builder . Traveling by flight from Wellington to Auckland Central takes 3.5 hours. Alternatively, you can do a combination of train and flight; or drive. Traveling from Wellington in January, Auckland Central is somewhat warmer at night with lows of 22°C. Finish up your sightseeing early on the 29th (Tue) so you can travel to Matamata. Matamata is a town in the Waikato Region of New Zealand's North Island. 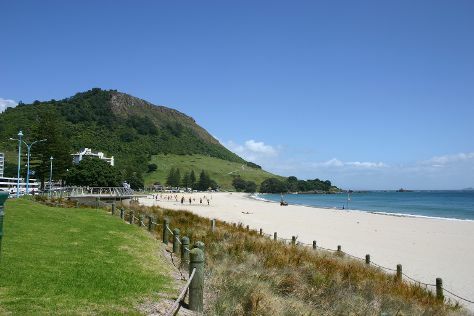 Start off your visit on the 29th (Tue): contemplate the waterfront views at Hamurana Springs Nature Reserve, then kick back and relax at Mt Maunganui Main Beach, and then hike along Mount Maunganui Summit Track. 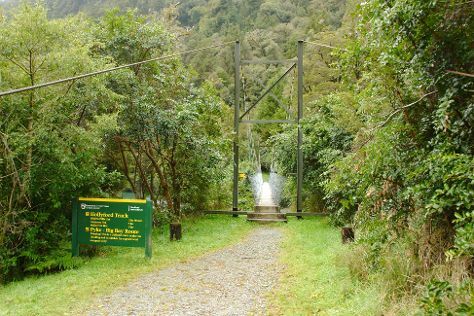 Get ready for a full day of sightseeing on the 30th (Wed): stroll through Karangahake Gorge Historic Walkway, kick back and relax at Pilot Bay, and then trek along Mount Maunganui Base Track. To see where to stay, more things to do, reviews, and other tourist information, refer to the Matamata tour itinerary planner. Getting from Auckland Central to Matamata by car takes about 2 hours. When traveling from Auckland Central in January, plan for a bit warmer days and slightly colder nights in Matamata: temperatures range from 27°C by day to 19°C at night. Wrap up your sightseeing on the 30th (Wed) early enough to travel to Palmerston North. Palmerston North is a city in the North Island of New Zealand and the seat of the Manawatu-Wanganui region. Start off your visit on the 31st (Thu): see the interesting displays at Te Manawa, then see the interesting displays at New Zealand Rugby Museum, and then contemplate the waterfront views at Virginia Lake. Here are some ideas for day two: tour the pleasant surroundings at Foxton Beach, then contemplate the long history of De Molen, Windmill, then explore and take pictures at Robertson Holden International Speedway, and finally take in the architecture and atmosphere at Cathedral of the Holy Spirit. To find photos, maps, and other tourist information, use the Palmerston North trip planner . Traveling by car from Matamata to Palmerston North takes 4.5 hours. Expect little chillier weather when traveling from Matamata in January: highs in Palmerston North hover around 22°C, while lows dip to 22°C. Wrap up your sightseeing by early afternoon on the 2nd (Sat) to allow enough time to travel to Dunedin. 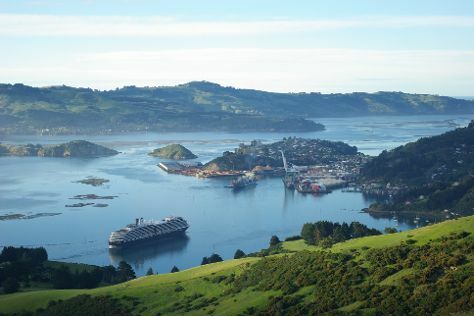 On the 3rd (Sun), explore the historical opulence of Larnach Castle & Gardens, identify plant and animal life at Otago Peninsula, and then tour the pleasant surroundings at St Clair Beach. Keep things going the next day: examine the collection at Toitu Otago Settlers Museum, kick back and relax at Aramoana Beach, and then get to know the fascinating history of Waikouaiti Beach. To see maps, traveler tips, and more tourist information, you can read our Dunedin trip itinerary planner . The Route module can help you plan travel from Palmerston North to Dunedin. On the 5th (Tue), wrap the sightseeing up by early afternoon so you can travel back home.